It's true. I'm a big old geek for NPR, PRI, BBC Radio, KCRW, KEXP, and my local fave, KQED. Imagine my surprise and delight when I discovered this today: Crosscurrents. Crosscurrents focuses on local reporting, a subject too often overlooked by the major media outlets. They even invite listeners to call in with their stories. 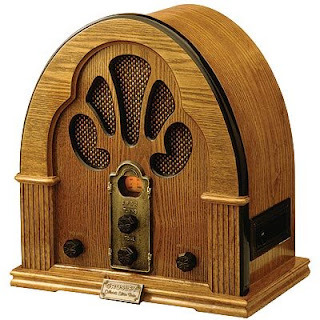 Radio, as counterintuitive as it may seem to you, is a more immediate, accessible, and universal medium. You don't need a big flat screen plasma HD television with surround sound to enjoy Nina Totenberg. You need a small transistor radio and some batteries. It's easily more democratic than television. And, I think, radio forces us to be more imaginative and interactive and more engaged with the speaker and story. Frankly, I get 50% or more of my news from the radio. If, however, you're more of a podcast person (which I totally understand), give Stitcher.com a try. Founded in San Francisco, Stitcher pulls together audio content and streams it, based on your preferences, to your iPod or computer. I have the application installed on my iPhone and I think it works really well.